Altaro VM Backup is an enterprise level backup suite for VM (Virtual Machine). This software provides a complete and professional way to backup your virtual machines. 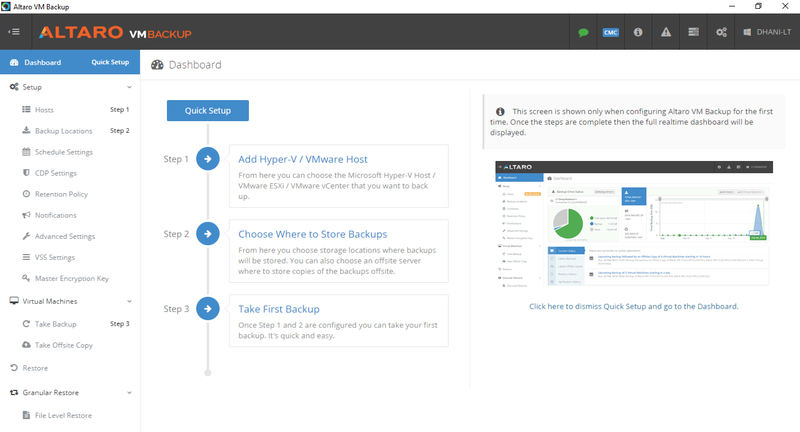 On this article I am going to give a short review of the latest Altaro VM Backup which you can download from this website. You can download and install Altaro VM Backup full version and try it for 30 days. No credit card needed. If your business utilize the power of virtualization such as VMware ESXi, you should invest on the backup software as well. Imagine if you loss data due to crashed VMs. Altaro VM Backup offers a wide range of protections to your business. The enterprise features on this software will ensure your business to run smoothly and worry free. First of all, you may wonder what Altaro VM Backup is. Well, long story short, it is a special backup suite that can be used to backup your virtual machines. 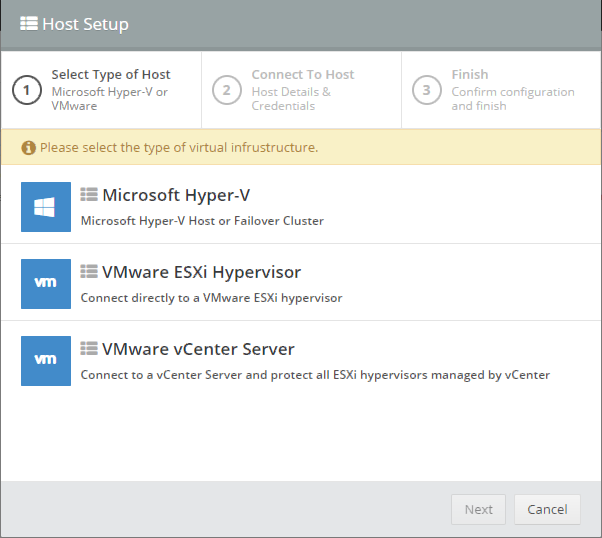 It supports Microsoft Hyper-V, VMware vCenter or VMware ESXi. This program comes with a professional console where you can manage the backup. Why you should consider Altaro? First, have a look at the following list of features. To install this software, first you will need to download the installation file. You will need to enter your business email in order to try the Altaro VM Backup full version. Or, you can try the free edition. Once you have the installer, simply double-click the setup file and follow the installation wizard. There is no special requirements during installation. Once the Altaro backup is installed, run the software and you will need to connect it with your VMware or Hyper-V. I will explain step by step to add new host to Altaro backup in separate article. Next step is to add the backup location. Altaro supports Physical drive and Network drive (LAN only). You can save your backup in an external drive, iSCSI drive or in your internal drive. 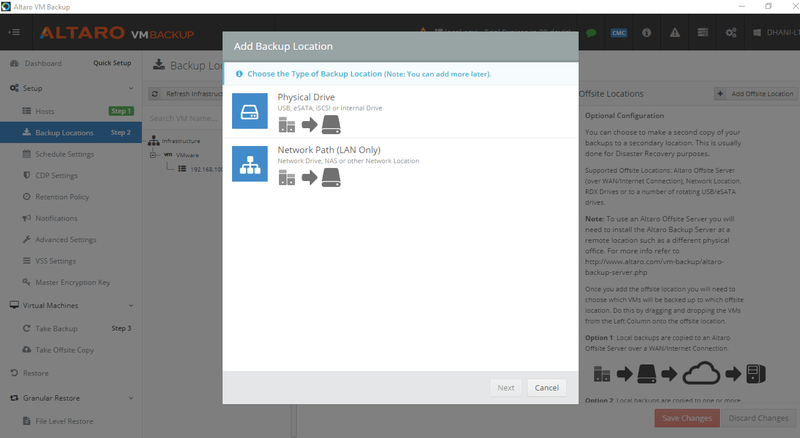 Additionally, you can have an additional offsite backup location. You can have the second Altaro Backup Server on a remote location the local backup will be copied to Altaro offsite server via WAN. It is also possible to store the second backup in Microsoft Azure storage. Altaro VM Backup offers an easy and integrated way to backup virtual machines. It is fast, affordable and high performance backup solution for enterprise. For more information about this software or how to get the Altaro VM Backup full version and pricing, please visit this page.